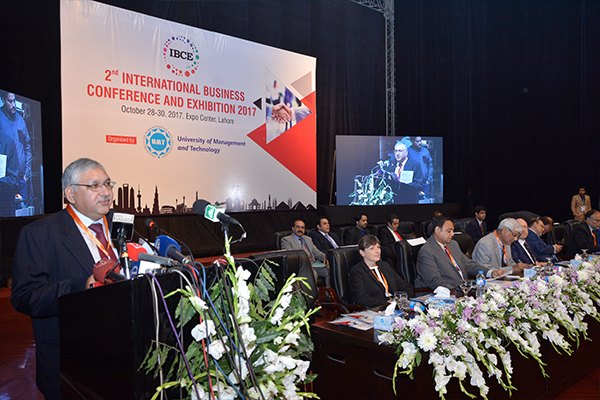 Abid H K Shirwani, Chief Organizer IBCE and Director General UMT, welcomed the national and international delegates and distinguished guests on the 2nd International Business Conference and Exhibition 2017 (IBCE 2017). He stated that the IBCE 2017 presents a common platform for academia, industry and government to work together for the development and prosperity of the world. The theme of this conference is leading the business transformation in Pakistan. It is a great honor to organize an event focused on greater investment promotion. The IBCE is aiming to create synergy in order promote the development agenda forward and add value to local products. He also welcomed exhibitors who have come from 15 different countries to participate in the International Business Conference and Exhibition and wished them fruitful stay at Pakistan. 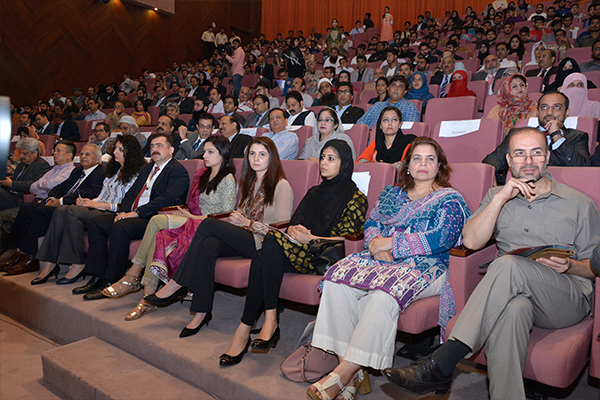 He quoted that about 45 national and international speakers are participating in this conference sessions which focus on academia and industry linkages, business transformation, emerging technologies, CPEC gateway to economic prosperity, Pakistan’s industries, and role of young entrepreneurs. He expressed gratitude towards the foreign guests who took time from their busy schedule and came all the way to attend IBCE 2017. He added that the IBCE 2017 is venture that will bring new partnership between our foreign participants like Turkey, China, Sri Lanka, UK and other countries as well. These partnerships will be beneficial for technology transfer and investment in the business field of Pakistan. This will also create friendly relationship with countries and bring prosperity in the country through promoting and facilitating innovation.